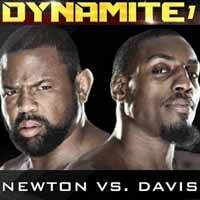 Review by AllTheBestFights.com: 2015-09-19, Phil Davis vs Emanuel Newton gets three stars only thanks to a good finish. Phil Davis entered this fight with a mma record of 13-3-0 (46% finishing rate) and he is ranked as the No.5 light heavyweight in the world (currently the #1 in this division is Jon Jones) but he lost two out of his last three bouts, against Anthony Johnson (=Davis vs Johnson) and Ryan Bader (=Davis vs Bader). 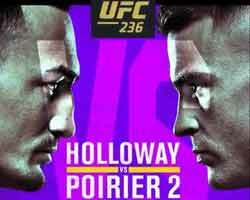 Between these two fights he had won over Glover Teixeira (=Teixeira vs Davis). His opponent, Emanuel Newton, has a record of 25-8-1 (52% finishing rate) and he entered as the No.14 in the same weight class but he comes off the loss against Liam McGeary (fight in which he lost his Bellator light-Hw title, Newton vs McGeary). Davis vs Newton is the semifinal of the Bellator light heavyweight tournament; undercard of Liam McGeary vs Tito Ortiz – “Bellator 142 Dynamite 1”. Watch the video and rate this fight!